By dressing up for class, students learn to carry themselves as professionals. Photo courtesy of Laura Chadbourne ’20/The Cowl. Waking up for an early class is tough as it is, but putting in the extra effort to make your outfit look presentable can make all the difference in your day. Though it seems trivial, wearing nice clothes to class can boost confidence, allow students to feel more successful, and prepare them for the professional lives they are striving towards. When preparing for a participation-focused class, it is important to feel confident about the things that you plan to say. One anxiety-inducing aspect of a seminar class is the focus on you as you speak; some consider these worries to be less intense when they feel better dressed. It is, of course, not necessary to dress up every day for class. The freedom to choose is entirely up to the individual. Some days are tough and being comfortable has more benefits than dressing up. What really matters is the feeling that you get when you look in the mirror. If you can feel positive and confident in sweatpants, wear those. Dressing nicely is simply an option to bolster and encourage that positivity. In terms of feeling successful, dressing up for class can elicit a positive response from peers, making the process worth it. Feeling confident among peers and being encouraged by them engenders a feeling of self-satisfaction that can brighten anyone’s day. Dressing up on campus is not strictly bound to classroom courtesy; practice interviews that take place in Slavin 108 are much more successful when you dress for the part. 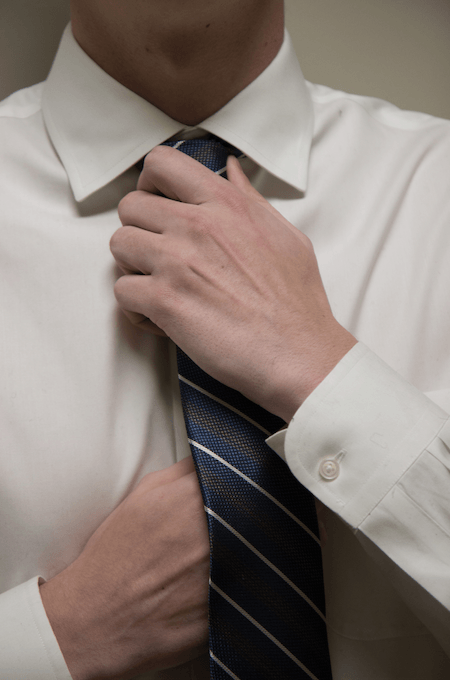 If you arrive at a practice interview in the appropriate attire, you will become immersed into a more realistic simulation of what an interview will actually include. Rehearsing in the correct clothing will certainly make you feel more comfortable when you are in the actual interview. This point brings up an aspect of psychology known as context-dependent memory. If you submit yourself to the most realistic atmosphere of an impending stress-inducing event, you are more likely to feel comfortable and adapted to that atmosphere when the time comes. Similarly, it is important to remember where we are and what we are ultimately working towards. Nearly half of the students at Providence College are members of the business school or will enter the business world post-graduation; these students are likely to continue this path into a professional business career in their post-graduate life. In order to prepare themselves for the lives they are working towards, dressing in business attire is a requirement for certain presentations and events. The Career Expo and in-class presentations are two examples of times in which students dress as nicely as possible. These situations allow them to understand what is appropriate for their future line of work and get them acclimated to the type of clothing they will be wearing through the duration of their professional lives. These events are obviously out of the ordinary and therefore require special attention. However, a muted yet still professional look is certain to keep up this feeling of professionalism on any given day. Essentially, dressing nicely, but not always too professionally, is a way to slowly ascend to the soon-to-be daily wardrobe of most working professionals. Though it may seem trivial to think about now, college does not last forever and we are eventually going to be thrust into the professional world. Gaining confidence and professionalism in a risk-free environment will help students ascertain the skills they need to become successful in the workplace.